Tiberius Julius Rhescuporis IV was a prince and Roman Client King of the Bosporan Kingdom. He was the second born son to the Bosporan King Cotys III and his mother was an unnamed Sarmatian noble woman. He was of Greek, Iranian and Roman ancestry. He had two brothers: one oldest called Sauromates III and a younger called Ininthimeus. Rhescuporis IV was named in honor of his paternal uncle previous Bosporan King Rhescuporis II and his paternal cousin, previous Bosporan King Rhescuporis III, who co-ruled with his father, Rhescuporis II. Rhescuporis IV in 233 succeeded Sauromates III after his death. His first brother was first co-ruler in the reign of their father Cotys III. Rhescuporis IV was co-ruler with Cotys III, until he died in 235. 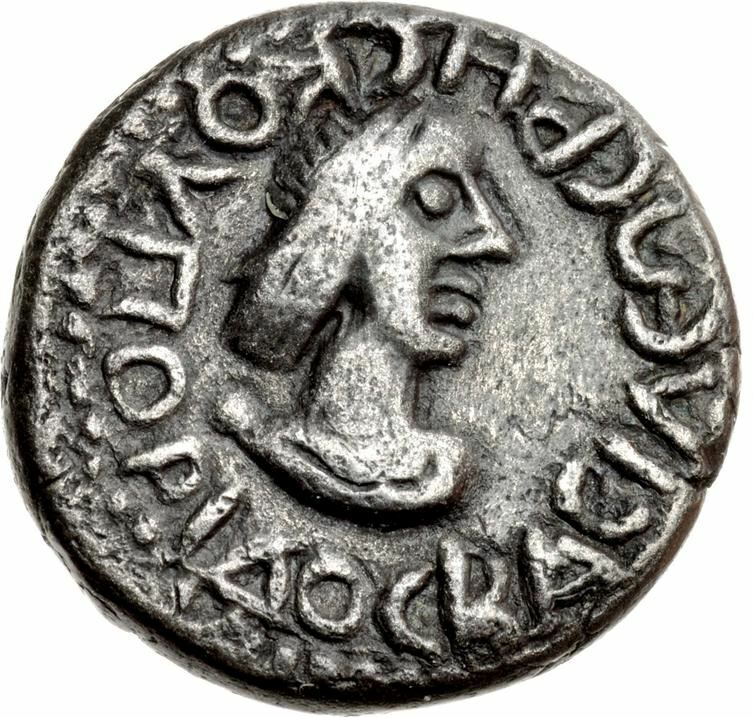 His royal title on coins is in Greek: ΒΑΣΙΛΕΩΣ ΡΗΣΚΟΥΠΟΡΙΔΟΣ or of King Rhescuporis. Rhescuporis IV was a contemporary to the rule of the Roman Emperor Alexander Severus. Little is known of the life and reign of Rhescuporis IV. In 235, he was succeeded by his brother Ininthimeus.